Welcome to the webrealm ‘Big Questions in Science’. Here you’ll find written-out versions of lectures I’ve given. The contents of this site are inspired by (but not limited to) the course I teach at the AUC called ‘Big Questions in Science’. If there are any topics (within or outside philosophy, physics and/or mathematics) you’d like to know more about, please drop me a line or post your suggestion as a comment on this site. I particularly like questions from students! Perhaps, one day, I’ll try to have my lectures published as a book. Wouldn’t you want to be part of that?! a certain probability to a certain leap. What happens in between observations? Physics is silent about that. How do the proponents of other interpretations of quantum theory answer the question what happens during a quantum leap? 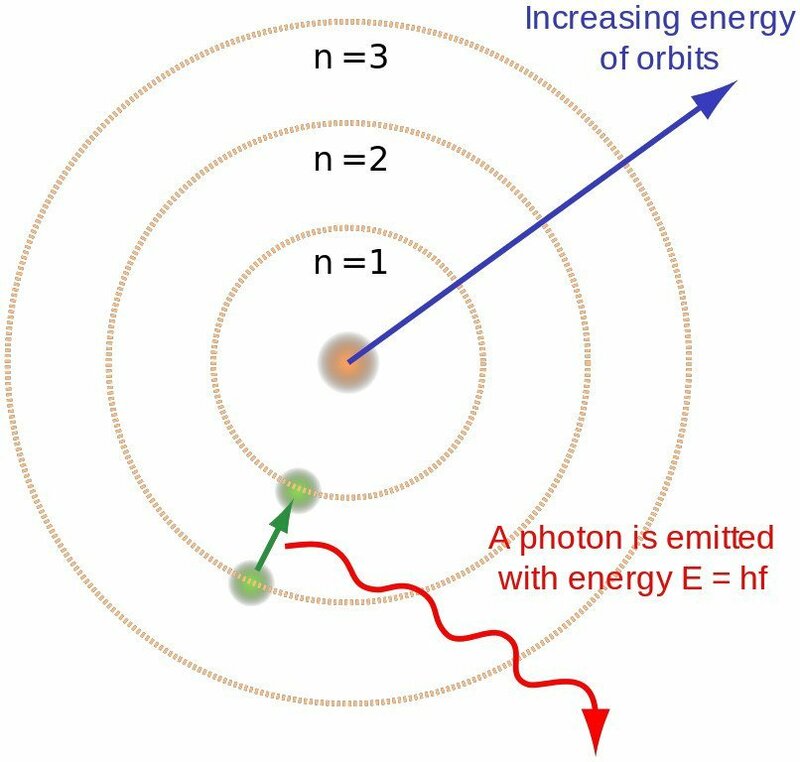 Some would say that an unobserved electron is in a superposition of orbits until it is observed; others would say that the electron just moves from one orbit to another – traversing the in-between-orbits space – we just can’t see that. At the basis of Newtonian mechanics lies an idea we call galilean relativity, which is the idea that different observers will come up with the same laws of motion as long as their reference frames are not accelerating relative to each other. The reason that acceleration is ‘special’, is because Newton defined force in terms of acceleration: If force equals mass times acceleration, then an accelerating observer will see other forces than a non-accelerating observer. When two people see something happening, and one of them is moving while the other isn’t, they will see different things. Imagine people playing a game of tennis inside a moving ship, and compare them with someone on the shore looking at the game. Differently moving observers see different things, yet these observers agree that the laws of physics are the same, and that momentum is conserved – How can that be? Why is Schrödinger’s cat not just dead OR alive? In quantum theory there is a thought experiment called Schrödinger’s cat-experiment. The idea of the experiment is that there is a cat in a closed box (don’t try this at home or at all!) together with a flask filled with poison which would, if released, instantly kill the cat. Next to the flask there is a hammer whose position is determined by some kind of mechanism involving the nucleus of an atom. The details of the mechanism do not concern us here: what is important for us is that if the atomic nucleus decays then the hammer will fall, the poison will be released and the cat dies. If the nucleus doesn’t decay, then the flask remains unbroken and the cat remains unharmed. Suppose that, at a given moment after the lid has been closed, we don’t know whether the atom has decayed or not, and hence whether the cat is alive or dead. Quantum mechanics tells us* that as long as the box is closed and we cannot say that the cat is either dead or alive, we must assume that the cat is in a ‘superposition’ of a live and a dead state. Does that mean that we must assume that the cat is both dead AND alive?! That would be bizarre! Why can’t we just assume that although we are uncertain as to whether the cat is alive or dead, the actual state of affairs is that the cat is either alive or dead? Why do quantum theorists resort to this vague concept of superposition? I told a friend of mine, Josh, about the course I am teaching at Amsterdam University College. I told Josh that in last week’s class we treated Albert Einstein and his relativity theories, and how whoppingly strange it is to imagine curved space (or even spacetime). At some point during that lecture, as I was calmly and comfortably rambling on about how Einstein’s discoveries had flabbergasted his contemporaries and radically changed our views on reality, one of the students raised her hand: “What are we talking about here? I know what a curve is, that’s when the road bends before me, like a line that’s not straight. But that line is on paper… what does it even mean to say that ‘space itself is curved’? When the girl had asked her question an indistinct murmur rose up from the group of students. I was silent for a moment, and then I suddenly realised how silly I had been: Here I was, trying to explain how amazing were Einstein’s theories about spacetime and the way it curves, and I had forgotten to start with explaining what this curvature is! One thing at a time. Let’s first discuss space and spatial curvature. Let’s begin by trying to answer this question: How can it be that space is curved if it has nothing to curve into? how can space bend if it can’t bend anywhere? !